WE will overthrow this badger cull. 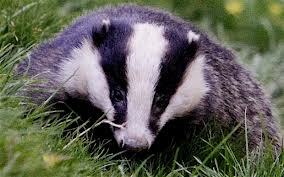 I just want to say that I think you did a wonderful thing today by voting against the cull. You were true to yourself in what must have been difficult circumstances. This country needs more authentic MPs like you. “Thank you for your email. I’ve been overwhelmed by the messages of support since yesterday – it has been much appreciated. I know that those against the cull will not give up the fight and hopefully common sense will prevail. This entry was posted in Badger Cull, Environment and tagged Badger, Badger Cull, House Of Commons. Bookmark the permalink.